After another long hiatus, I continue my discussion on the Sermon on the Mount. Scot offers to us five major themes that provide the context for the beatitudes. (3) I only outline them here. We will return to them as we look at each beatitude individually. "First the one who is blessed is blessed by the God of Israel." One cannot rightly read the Sermon on the Mount apart from the Old Testament and God's covenant with Israel. 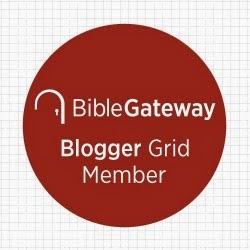 God blesses God's obedient people. "Fourth, this list concerns the person's relational disposition." In the beatitudes Jesus not only has one's relationship to God in mind, but also one's relationship to others. Some of the beatitudes are focused on one's relationship to God-- e.g. "pure in heart" and "hungering and thirsting for righteousness," while others directly concern the relationship of persons to each other-- "merciful" and "peacemakers." It is clear from the Bible that one cannot love God without also loving others. ...a "blessed" person is someone who, because of a heart for God, is promised and enjoys God's favor regardless of that person's status." 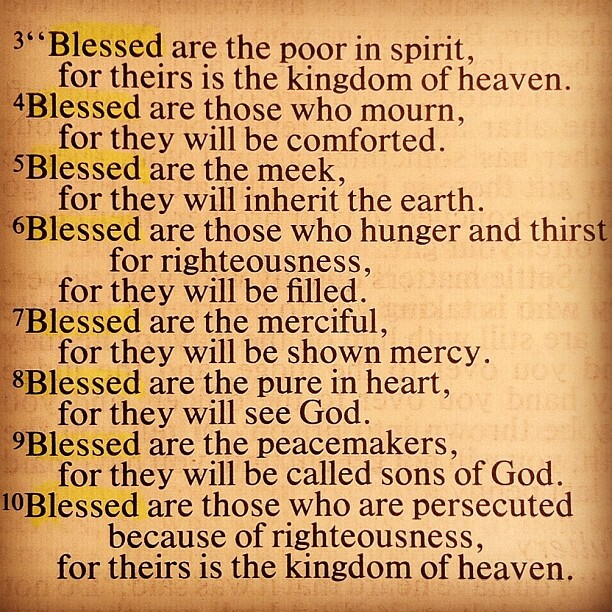 So, "blessed" does appear to be the best translation of the word mainly because others translations are less acceptable. I do like Tom Wright's way of trying to capture makarios-- "Wonderful news for you!" but in our context the word "blessed" carries with it divine approval, so I opt for the most common translation of makarios. So, Jesus is now on the mountain, a clearly symbolic image of Moses on Mount Sinai receiving the Law. But unlike Moses, Jesus does not merely receive the law, give it to the people and speak as a prophet; he is one who puts the Law of Moses in Kingdom context, and he speaks uniquely for God as no one else has or ever will. Indeed, Jesus speaks as the voice of God. In my next post, we discuss the first beatitude-- the poor in spirit. (1) Tom Wright, Matthew for Everyone, Part 1: Chapters 1-15, pp. 34-35. (2) Scot McKnight, Sermon on the Mount, p. 32. (4) David Gushee and Glen Stassen, Kingdom Ethics, p. 24.